Discover the beauty of Ancient Rome on a thrilling and funny ride on a bicycle. 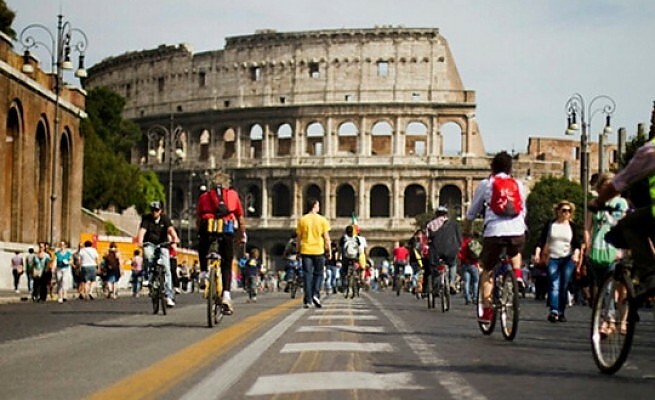 Rent a bike in Rome and enjoy the Eternal City! Our Rome by bike guided tour will allow you to see all the amazing sights of Rome, such as the Colosseum, the Roman Forum, the Spanish Steps, the Trevi Fountain and the Vatican City. 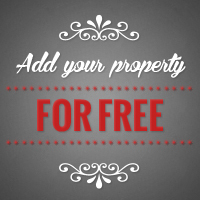 But there is much more! Through the narrow streets of the Ancient Rome our guides will lead you also to lesser known sites in order to let you know the hidden gems of Rome city center and will tell you the tales and myths that are behind the story of one of the most beautiful cities in the world! 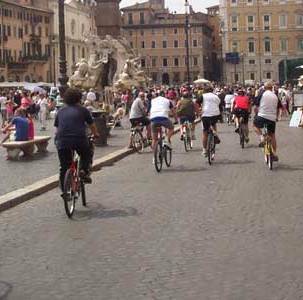 The best Rome sightseeing in 3 hours guided bike tour. This Rome bike tour gives an insider’s view into the Eternal City that will constantly entertain, surprise and enlighten, providing you with a day out to remember forever. 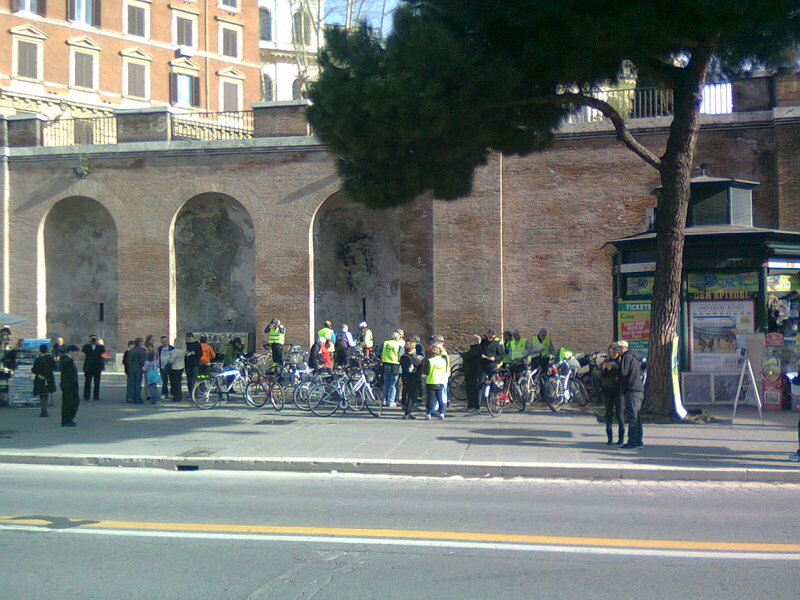 Unusual rome bike tour: you will also see some faces of Rome not explained in your guidebook and visit several neighborhoods whilst you are riding along the historic center. During this pleasant and healthy bicycle ride you can stop at all the major attractions of Rome and take unforgettable photos. It is not necessary to be well trained, it will be an amusing bike tour surely suitable to the rhythms of both adults and children. So come with us and discover the real Rome while spending a great day on our comfortable fleet of mountain bikes! Meeting point and departure details of this tour will be indicated on the voucher confirming your booking. Recommended comfortable clothes and shoes. 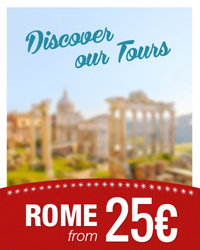 Discover Rome by renting a bike or join the best guided bike tours in Rome!